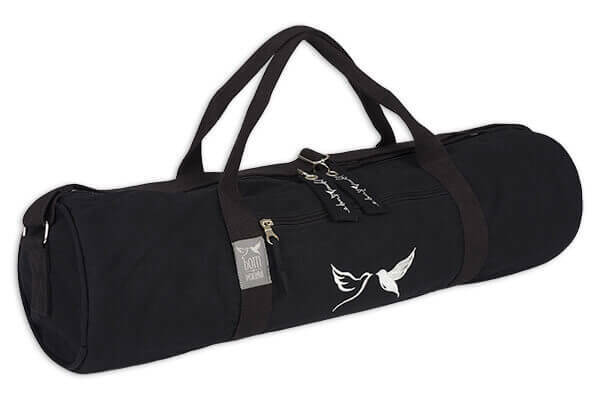 The super stylish Born Peaceful Single Yoga Mat Bag with Peaceful Doves is perfect for carrying your yoga mat as well as having plenty of space for additional items such as a change of clothing, toiletries, phone, keys etc. This mat bag will accommodate most mat sizes. 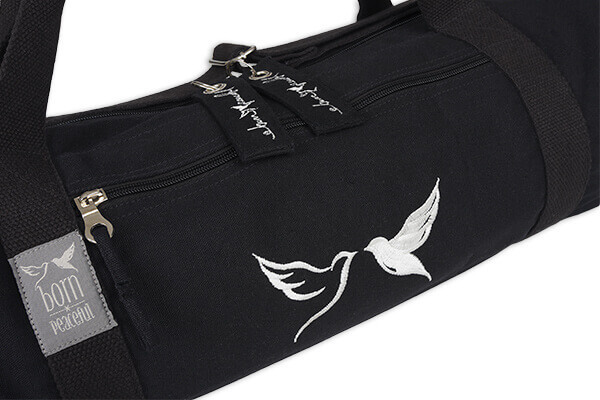 Made from strong and robust cotton canvas with a cotton lining and featuring strong webbing handles and an adjustable webbing shoulder strap. 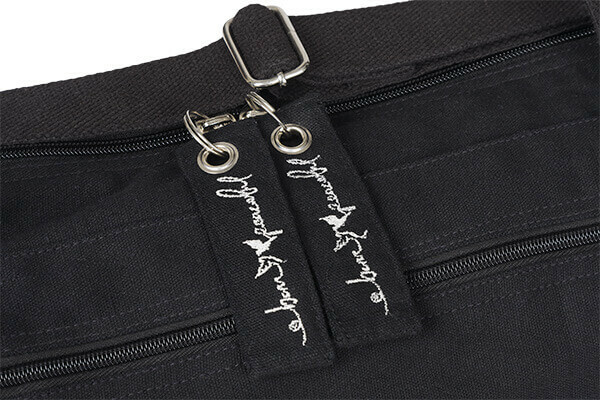 Easy access double zip opening with Born Peaceful signature zip fobs and quality metal components. 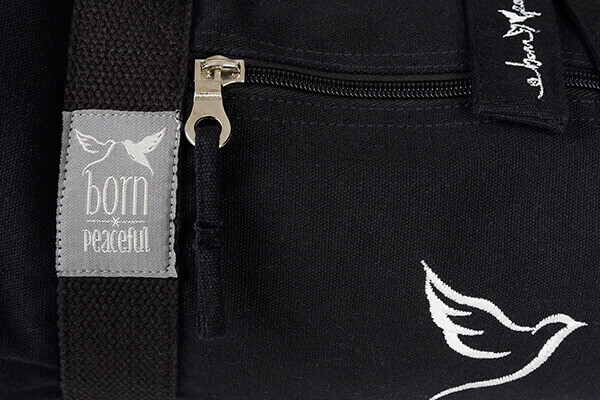 The mat bag is available in a choice of colours: black or anthracite (lovely deep grey), and features an elegant embroidered Born Peaceful doves motif to the side. There is an external and internal pocket, suitable for storing keys, phones or other small items while you are at your class. 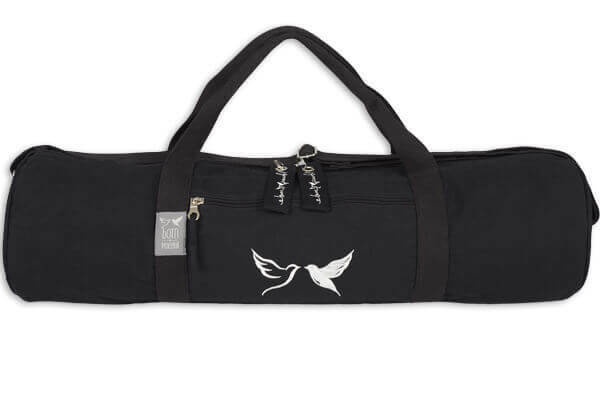 This is a quality yoga mat bag that will fit pretty much any mat. 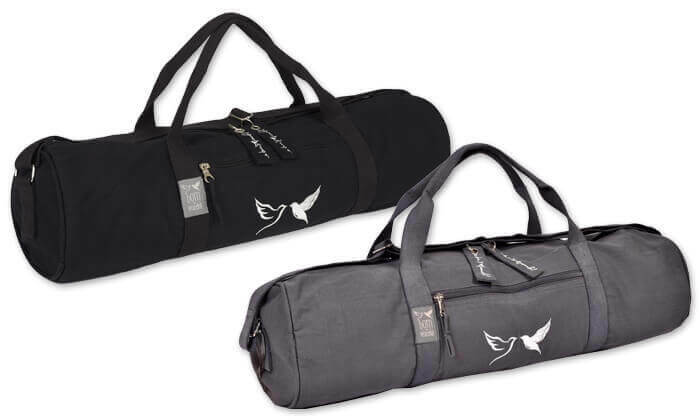 It's also lightweight, strong and has room for other items you might take to a yoga class. 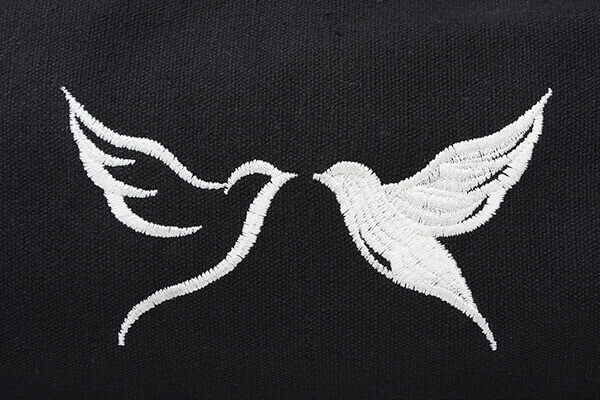 We particularly like the anthracite colour and because the Doves logo is subtle and stylish, it's a bag that would suit men or women. Great sized & well made bag for mat & accessories. Useful pockets and lovely design. Really happy with my beautiful bag, excellent company and truly beautiful purchase, chuffed!